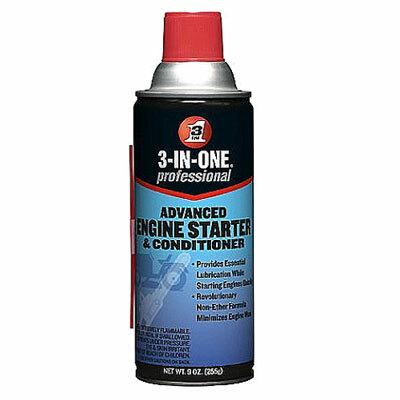 3-IN-ONE Advanced Engine Starter and Conditioner provides essential lubrication while starting engines quickly. It is a revolutionary Non-Ether formula that quickly starts and lubricates gas and diesel engines. Unlike other products, this advanced non-ether formula minimizes engine wear during start, and works under most temperatures. 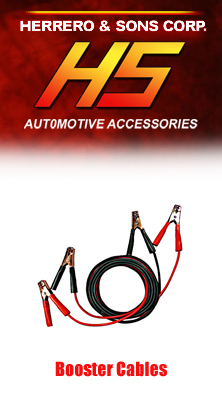 Ideal for starting gas and diesel endines such as lawnmowers, riding mowers, hedge trimmers, leaf blowers, snow blowers, power washers, generators, chainsaws, rototillers, outboard motors and other power equipment..